Once again the rolling hills of Mount Vintage Golf Club in Edgefield, South Carolina served as the venue for the annual Carolinas-Georgia Junior Championship and once again McKenzie Talbert, Strom Thurmond High School senior and future Clemson Tiger secured the women’s title. 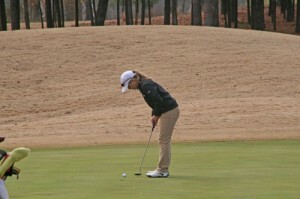 The three-day tournament got under way Saturday morning January 19th with practice rounds followed by competition rounds Sunday and Monday. 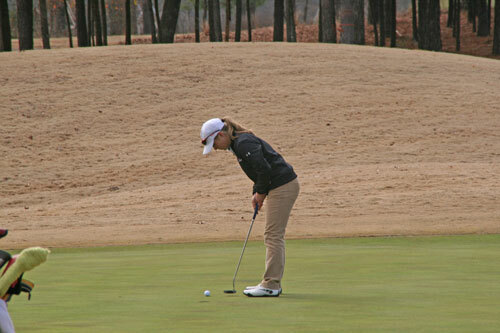 Results of the first round on Sunday had four young women, McKenzie, Madison Moosa, Sydeny Legacy and Reona Hirai, tied for the lead with a score of 73. Talbert shot a 74 for round two finishing with a total score of 147, two strokes ahead of her closest competition, Louise Oxner of Greenville, South Carolina.